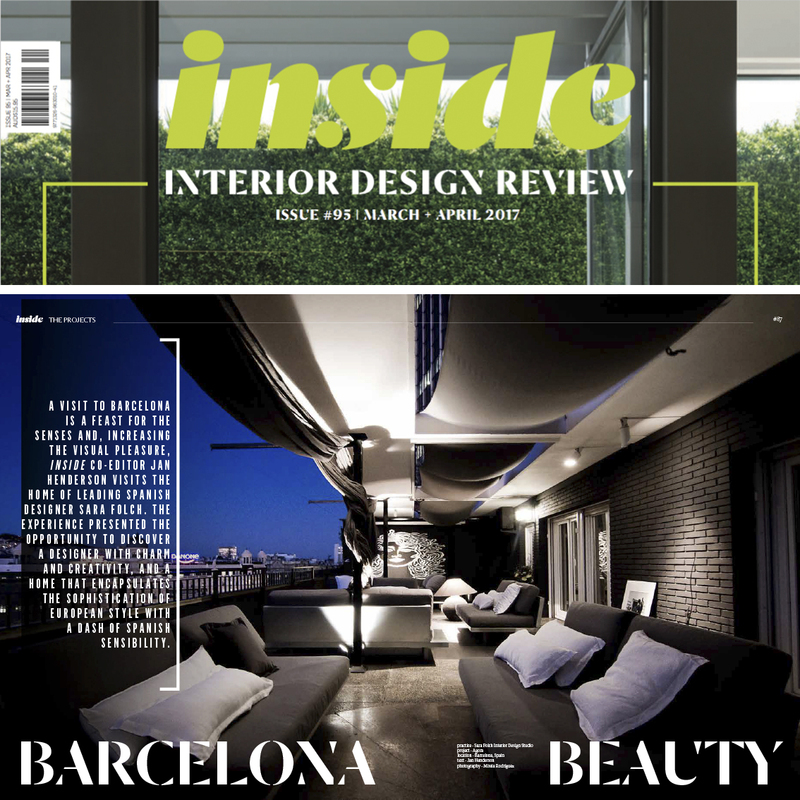 The Inside Interior Design Review Magazine, Australia’s premier professional journal for interior architects and designers, visited Sara Folch in Barcelona to discover her most personal space: her own home. Co-author of the Inside Interior Design Review Magazine, Jan Henderson, was able to discover the details of each stay in the house where she highlighted the innovation and incorporation of technology in all its designs, excellence and continuous search for perfection. Finally, she praises the sophistication of Sara Folch Interior Design in its international projects. We currently have studios in Barcelona, México and Colombia. However, we are more than open to working on a global scale as we have worked on Cameroon projects or even in Paris. If you want to know more, you should check our social media accounts on Instagram, Facebook and on Twitter, where we will upload all the information we have. Of course, you are more than welcome to check our interior design projects and our contact us section.